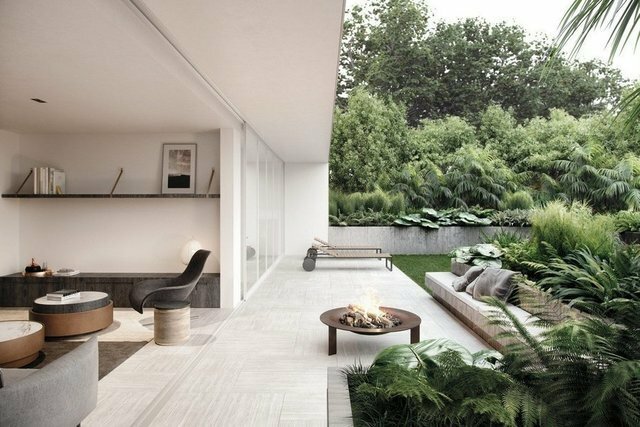 Auckland living is reinvented with Edition, a contemporary building in the heart of Parnell. Priced from $2,150,000 NZD (including two bathrooms, two carparks and a storage unit) your two bedroom apartment is guaranteed to deliver luxury and sophistication. Floor-to-ceiling windows emphasise the high stud and allow natural light to flood in, while every two bedroom apartment has a balcony that connects to the outdoors. In the living rooms, furniture can be custom-made by Bureaux to fill the space perfectly. The design of Edition is referenced in the apartment's kitchen islands, which are beautiful stretches of mitred stone with cantilevered ends. Warm-toned, grey fumed oak cabinetry conceals high-end appliances from view, and complements the pietra grey marble splashbacks. Discerning cooks will appreciate the Miele ovens and induction cooktops, along with the Miele dishwashers. All apartments also feature Bosch fridge-freezers and Italian tap ware in the main kitchen spaces (and in the sculleries featured in some apartments). Large travertine tiles, double sinks and Italian tapware are standard in all bathrooms and lend a luxuriousness to the interiors. Each of the nineteen residences is unique, but all deliver the sense of generosity of much larger homes, along with luxurious materials, beautifully considered spaces with stunning views of the water and over the city. Edition is perfectly positioned to allow its residents to make the most of the city's best cafes, restaurants, galleries and boutiques. Exquisitely designed by architects Monk Mackenzie with interior design by Bureaux. The building's exterior is artful and unlike anything else in the city; the interiors are designed thoughtfully to feature a luxurious material palette and to bring their residents comfort and calm. It's your chance to live in a building recognised as a winner of The Chicago Athenaeum Architecture Award; a chance to live at the heart of Auckland's story. Visit editionparnell.co.nz for more info or contact us for a private viewing.